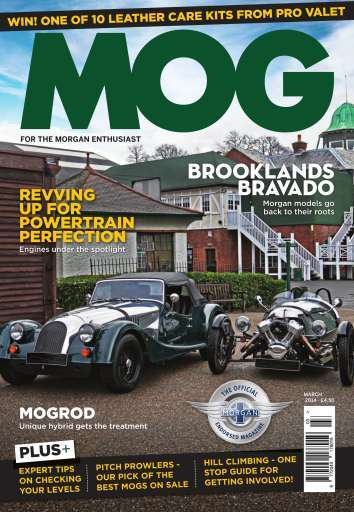 With lashings of green paint, chrome and brushed metal, this month’s look at Morgan’s impressive and instantly iconic Brooklands edition Roadster and 3 Wheeler shouldn’t be missed. MOG took them to the very grounds of Brooklands to introduce these two important vehicles to the venue that became the catalyst for their creation. There’s also more from new series, Pitch Prowlers this time with a Plus 4 Super Sports, MOG takes a look at the engines used in Morgan vehicles over the years, there’s an introduction to the bonkers yet brilliant Mog Rod plus a whole lot more for you to enjoy.